Does Your Business Need a New HVAC System? | Quinnair Heating & Air Conditioning Inc.
Home / Blog / Does Your Business Need a New HVAC System? Commercial HVAC systems are built to last long. However, as with any other system, it may fail. While it rarely fails, there are usually red flags that failure is coming or already in place. 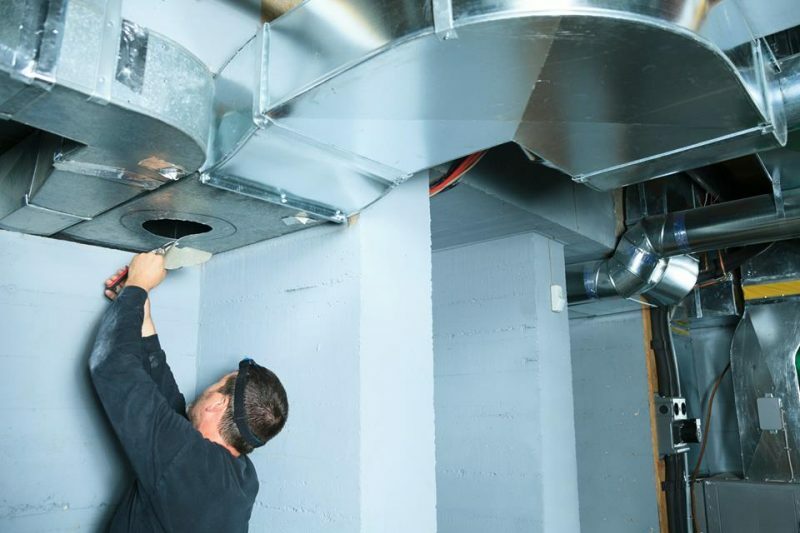 Here are some of the most common signs that indicate it is time to get a new HVAC system for your commercial building. If you find yourself calling the repair service every week, and the recent repair costs more than the initial price of your unit, it is time to buy a new HVAC system. You will not only cut costs on repair workmanship, but you will also save money on energy bills. Uneven cooling or heating, or different temperatures in a room is a clear sign that the HVAC system is failing. Plus, this symptom may lead to humidity issues, which can encourage mildew and mold growth, compromising the health of your customers, employees, and visitors. Knocking, rumbling, squealing indicate that the equipment is failing to keep up with your heating or cooling demands. Do not think twice and contact the experts at Quinnair to discuss your best options. If your equipment is reaching the end of is expected lifespan, it is best to replace it. The EPA recommends commercial A/C units to be replaced when your system is older than ten years. Equipment that smells funky or expels a rare odor is never good news. The indoor air quality in your building will be negatively affected, encouraging airborne diseases. Don’t let this happen to you. Whenever you detect a bad odor coming out of your A/C, contact HVAC professionals immediately. If your equipment is experiencing any of the above signs, give the experts at Quinnair a call at (720) 836-1907.